Goode, R.W., Ye, L., Zheng, Y., Ma, Q., Sereika, S.M., & Burke, L.E (2016). 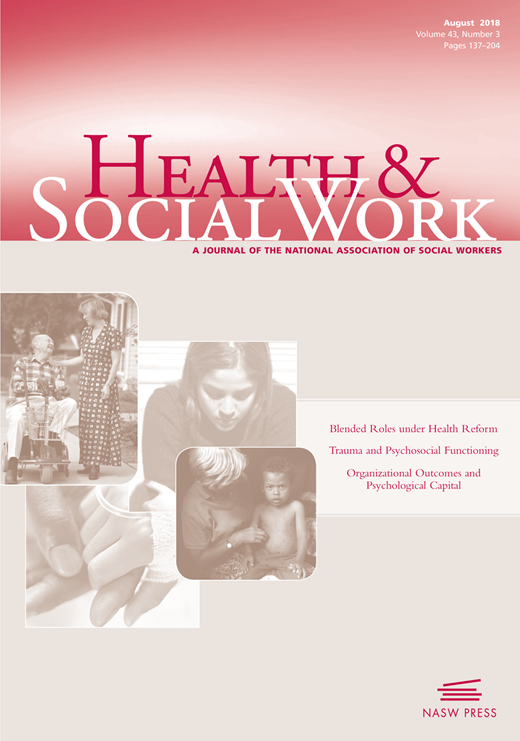 The Impact of Racial and Socio-Economic Disparities on Binge Eating and Self-Efficacy among Adults in a Behavioral Weight Loss Trial, Health and Social Work, 41 (3), e60-e67. The prevalence of obesity is a significant problem among racial and ethnic minorities and those of low socioeconomic status (SES). Psychosocial barriers, such as binge eating and low self-efficacy, are known to hinder the adoption of a more healthful diet. There is limited research identifying racial and SES differences in binge eating and self-efficacy. Further investigations of these constructs may allow researchers to improve the effectiveness of weight management interventions and increase social worker involvement. In this article, the authors examine the socioeconomic and racial differences in binge eating and eating self-efficacy in a sample of individuals seeking weight loss treatment (N = 151). They explore associations between various sociodemographic variables and the Binge Eating Scale and Weight Efficacy Lifestyle Questionnaire (WEL). At baseline, nonwhite participants or those with fewer years of education exhibited more confidence resisting eating when food was available. Moreover, nonwhite participants reported more self-confidence eating under social pressure and had higher total WEL scores than white participants. However, at six months, nonwhite participants’ WEL scores decreased. White participants increased their total WEL scores and obtained a higher percent weight change by the end of the intervention. Additional investigations on the dynamics affecting the development of self-efficacy are warranted.